Vizinex RFID, a provider of off-the-shelf and customized high frequency and ultra-high frequency RFID tags, announced its new applications that have been released for gamma resistant, autoclave and asset tracking RFID tags. The RFID tags featured, including the company’s Sentry AST tags, come with a unique platform designed for the much-needed sterilization and durability requirements for the healthcare industry. These tags are not only made to withstand high temperatures but also to withstand repeated temperature cycles between hot and cold. The small footprint mount-on-metal tag is designed for locating high valued medical and laboratory assets, such as gurneys, laptops and IV carts. 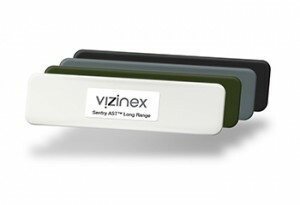 The Sentry ASTTM tag offered by Vizinex comes with the Fujitsu MB89R1118C chip, which has been tested to 80 KiloGrays, and provides 2Kbytes FRAM for extra data storage.